Cicapair™ Colour Correcting Treatment is an all-in-one treatment that includes a colour-changing capsule within the formula to cover blemishes and restore the look of skin's strength, health, and vitality. 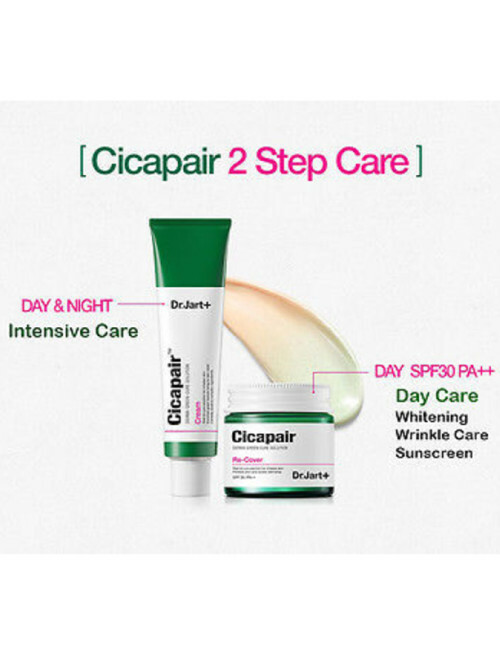 Like the entire Cicapair™ Collection, it includes tiger grass, an active ingredient used for centuries to restore and support damaged skin and inflammation. It provides SPF 30 protection from UV light and forms a barrier to protect the skin from environmental aggressors and helps improve moisture levels to replenish fatigued skin win an infusion of sodium, potassium, calcium, and magnesium. 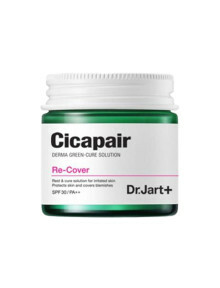 2) cream will change from green-to-beige to correct any redness.